Did I take the last load of laundry out of the dryer tonight? I forgot to get laundry detergent at Target yesterday. I spent way too much at Target yesterday. Why did I go in there in the first place? Oh yeah for diapers and wipes. Kids are expensive. I love our children. My foot still hurts from stepping on that Hot Wheels car today. Four Year Old Foodie has too many cars. His brother seems to be more into balls than cars. Should I get rid of that mechanic’s garage toy? Nobody plays with it anymore. I should have a garage sale. I could get rid of a lot of old baby clothes. Baby clothes. I left them in the dryer. Ugh. Does my husband have clean socks for tomorrow? What will I make for dinner tomorrow? Hot dogs. Soft pretzel hot dogs! I hope I remember this in the morning. My mind is too cluttered. My space is too cluttered. I need to have a garage sale. I’ll sell that toy mechanic’s garage. And I did! Ahh it feels good to simplify (and it helps to make a few dollars on the side!). It is nice to simplify dinners in the summer too and that’s what this recipe is about. The concept is simple. The dough is simple. The dishes were simple. And we pretty much cleared out every last bite so the clean up was simple! You could make these into pretzels instead of pretzel dogs. For me that was NOT simple. I will not be applying for a job at the mall anytime soon I guess. I made 6 pretzel dogs and turned the rest into bite-sized pieces. I can handle that! After dough has risen, cut into 12 pieces. Let the dough rest for 5 minutes. Roll each piece into a 2-3 foot rope. In a large saucepan, bring water and baking soda to a simmer over medium heat. Roll your dough around the hot dogs and dip into the baking soda solution for about 20-30 seconds. Place on parchment covered (or greased) baking sheets, and let rise 15-20 minutes. You could certainly roll your pretzel dough into any shape at this point. Brush with melted butter and salt. Bake at 450 degrees F (230 degrees C) for 8 -10 minutes, or until golden brown. I am so sad that Blogger ate up all of your comments. One day they just disappeared. Sigh. But thanks again – I just don’t want you all to think I’ve been deleting your comments! I appreciate you taking the time to give me your feedback as always! Black Bread (My Guest Post) and a Giveaway! Haha! Your train of thought is awesome…I love that soft pretzels came up a couple times!! Ohhh this is good, really good!!! I absolutely love your mouthwatering photos!! LOVE these! I am totally putting these on my short list of "have to make" things! Oh yum! I will have to try this with my son while he is home this summer, he will love it! And I love how your mind works – 100 different directions, but it all makes sense! I can so relate! This seems like a great summer dinner!! Katrina you sound like me. Garage sales are not fun but these hot dogs are tons of fun. They look awesome! Isn't crazy the way the mind races sometimes when you can't sleep? Your pretzel dogs look so yummy! Love your pictures! I love soft pretzels. Those pretzel dogs look delicious! Oh my!! This looks delicious. I will try to make these pretzels, I hope it comes out looking as good as yours. These remind me of the bagel dogs from Einstein Bros. My daughter loves 'em so if I can make something that's close she will think it's fabulous. We've got to try your recipe! All that AND you post on a sunday? food bloggers are crazy! 🙂 But hey, I noticed you managed to take Ah-maze-ing pictures of a meal and not a dessert….were your kids going crazy having to wait or did you find a way to freeze time to get the shot? Delicious! I'm sure all of my munchkins would love these! Delicious and easy to make! Thanks for sharing! Oh I know that feeling! These look so delicious! My kids would go bonkers over these. This recipe is a keeper. And my mind works much like yours, frantically reviewing the day behind me and gearing up for the day ahead. Life as an adult with small children…it's never simple! These are like, insane, huge pigs in a blanket! Genius! That is too funny – but worrying when you see that list written down! I shall try not to think of that…. Love these and the bite sized portions are fabulous. Oh boy does that sound familiar! My brain jumps from one thing to another at a million miles an hour! My husband says he has a hard time keeping up with my train of thought because I'm trying to say too many things at once, lol. YUMMY! I love making homemade pretzels, never thouht about wrapping around a hot dog. Will be trying this this week with the kids. Thanks for the ideas. Scary how I think! lol Thanks for stopping by! Thanks Sandra! I'm loving your new site! Congrats!! It was a lot of work to put together but worth it to clean up the clutter! Yep – Guldens spicy mustard!! Mmm! We are never without it in our home! And about the kids and hot dogs- both of my boys devoured them (even 1 year old). I still cut it up of course. I use kitchen shears to cut it all up into pieces…much easier than a knife. Katrina, purging is good – it also helps to unclutter the mind which in turn helps us to be better bloggers! ;-)Homemade pretzels are absolutely delicious and a soft pretzel dog would be perfect for my lunch right now! I have tried to make pretzels exactly ONCE. These look great and a great idea for summer easy meals. 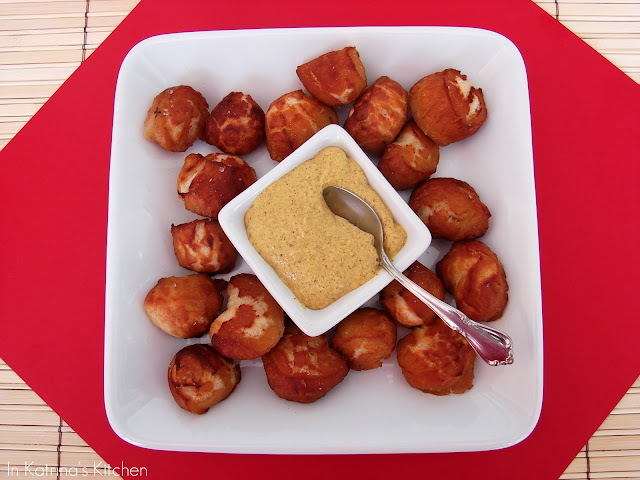 But, these are great pretzel rolls that I found at http://sweetpeaskitchen.com/2010/10/20/pretzel-ro…. They are awesome by themselves or smeared with homemade mustard. I love your train of thought. Mine go like that all the time and I (very often) laugh about it! Great recipe!! oooh! I will definitely have to make this! oh my gosh, these look just like bagel dogs- but BETTER! You truly are a genius, I absolutely love this idea!! Yummy! 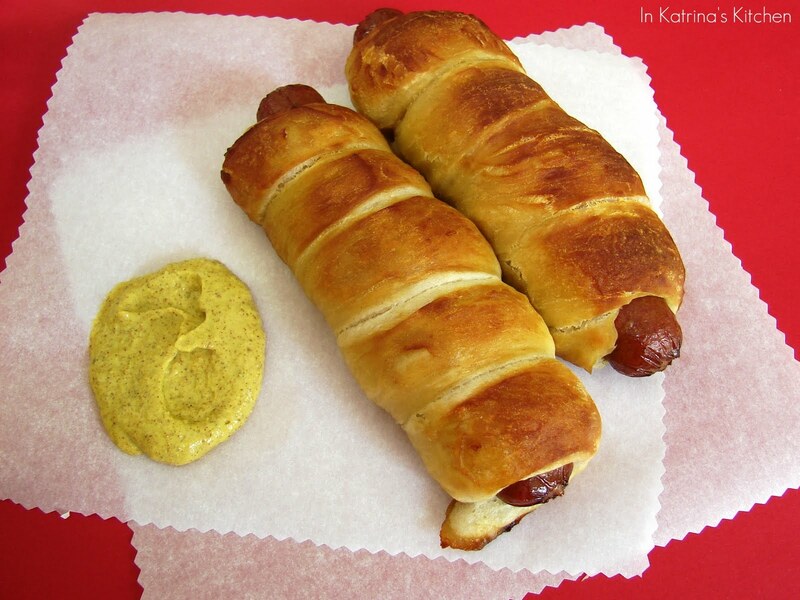 I love to get pretzel dogs at the mall food court, but homemade would be even more delish!!! Well done…and simplifying in summer is a great strategy!! what a perfect treat! I love pretzels, I love dogs, its a match made in heaven! Your bites look very tasty too, just load up a plate and pass the mustard! I have been wanting to make pretzels for ages… Love that you wrapped the hot dog in this too. I've never been a corndog fan, so this is great for me! This is something my kids would love!! Doesn't it feel good to clear your mind?! I love how you wrote about simplifying. Have a great day! I know my kids will love this. I haven't made homemade pretzels but nice idea of eating with a hot dog. Delicious! Oh dear! I can imagine.. it used to happen with me when i was crazy busy with work .. now I am more relaxed and no babies yet 😛 I love kid ..i do. These are one of my all time fav bite and every time we go for shopping I have to pick one in the mall ..
Maybe it's because i'm from the uk or something but I have no idea what soft pretzels are…and I feel like im missing out! These look amazing!! The bites sound amazing. you'd love a couple. Yum! This would make such a fun dinner. Love the little pretzel nuggets. These look amazing – so impressed! AND…. I can totally relate to the list running through your head – must be a MOM thing! Those look so yummy. I am going to give those a try. LOL! Well, my youngest was napping and the oldest was on a bike ride with Dad! I was thankful to get in a few shots because there were NO leftovers! That's a good way to put it – reviewing the day and gearing up for the next. Whew! Exhausting! Ha ha! I never thought about it like that! lol So true! I'm a fan of bite sized food! Thanks for stopping by! Yes – Target sees me coming and smiles. Oy! I was enjoying your blog but I can't comment 🙁 That mochi looks yummy – I'd love to try it sometime! Thanks! There is a pretzel place in our mall called auntie Anne's and they make something like this. Mmm! Oh the dogs were WAY easier than the pretzels. My pretzels looked like tangled up shoelaces! The dogs and the bites were the way to go (for me!). Great post! My little ones always skip the bun for hotdogs (why? who knows..lol) , but I bet I could totally do the pretzels..they'd love that! Wonderful family friendly food. Wonderful as always, Katrina! Oh just wait – you must try one then! 😉 btw- I'm glad you're liking Pinterest! The the healthiest fare but still fun to mix it up once in a while! Totally agree – my pretzels looked like tangled up shoe laces. The dogs were easy – my 4 year old even rolled out his own and wrapped it! I was so proud of him! So I never discovered that I love pretzels with mustard until I was something like 35!! And I'm with you… I think I'll just keep my pretzels shapes in bites, you can't go wrong!! Your recipe looks delicious and your comments leading up to it are so funny because they are so true! MUST. MAKE. THESE. The BF wont eat a hot dog but from time to time – oh yeah, Ill indulge. These look awesome. I have been itching to make homemade pretzels for a while – but stick a hot dog in there and I really have to make these soon. This is good! 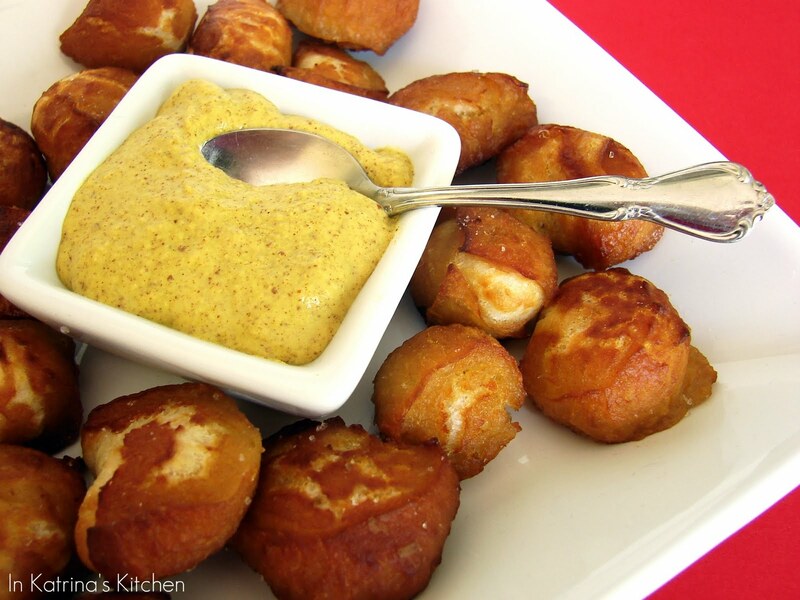 My kids would love this soft pretzel dogs! Is the yeast 2 1/4 Tablespoons or Teaspoons? Tablespoons seems like a lot. I am craving these at 5am.. not good. Not good at all. Love this. Simple is almost always better. Don’t know why we gotta take a simple recipe or concept and totally complicate it and make it harder on ourselves (unless of course we have the time, energy or money to do all that). I usually have none of the above..lol. Gorgeous recipe and your pictures are making me salivate! You know sweetie I like all your recipes and i loved this one too. I hope the comments come back! My kids would like BOTH the pretzel dogs and the pretzel bites. YUM. These look amazingly delicious!!! I must have one soon! I want some of those pretzel bites too…but with nacho cheese! Yum! I’m glad you were able to clear out some of the stress and make a couple extra bucks! 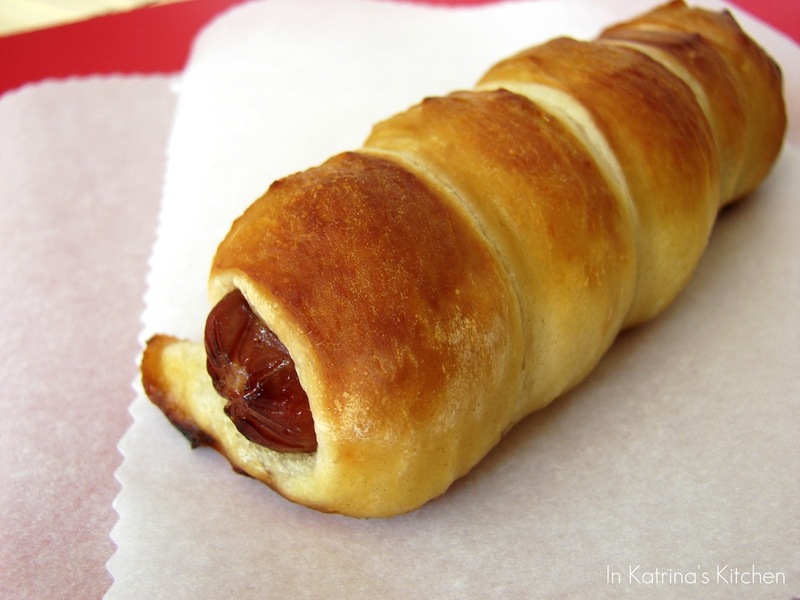 This is such a nice hot dog twist (no pun intended). I can’t wait to try them! I just made these for dinner tonight, and shall I say… FANTASTIC!! I made them with hot dogs for the kids, and beer brats for me and the hubby. In the brats ones, I also wrapped some caramelized onions. Because of the onions, I couldn’t twist-wrap the dough, so instead I gently rolled out thick rectangles big enough to fit around the sausage and onions. Then I just pinched the dough closed with a seam across the top. I had enough dough to wrap 4 brats this way as well as 4 hot dogs. My family loved them and are asking when I’m going to make them again! These look delicious! I’d like to freeze them to have on hand for my kids’ lunches… any recommendations on whether to freeze before boiling, after boiling, or after boiling and baking? Thanks! Can these pretzel dogs be frozen? I can’t wait to try them. Thank you.